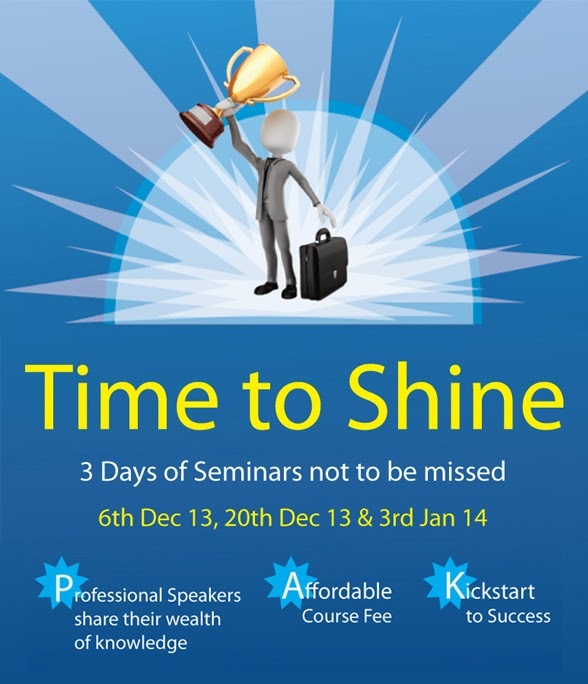 In life, there are time for different events, time to study, time to work, but now, it is the time for You to Shine. 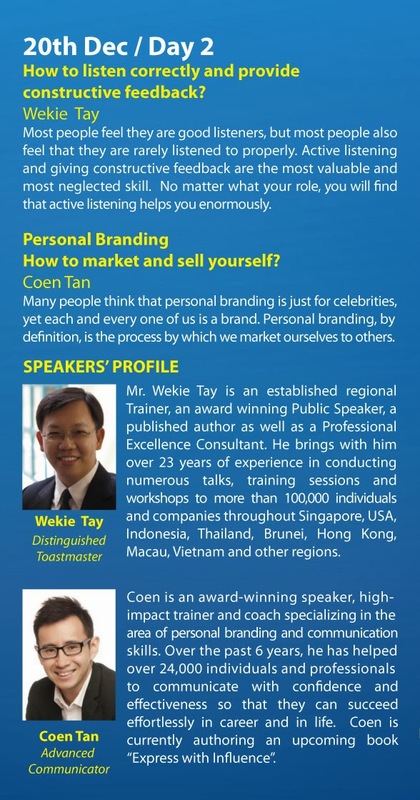 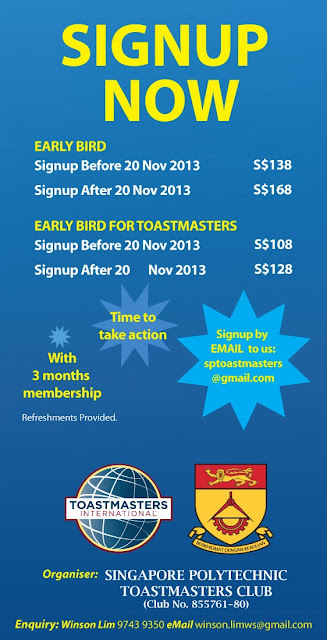 After 8 years of making, Singapore Polytechnic Toastmasters club organised this special seminar just for you. In the 3 days seminar, you will learn from established trainers who will help you Secure your Dream job, Express yourself more Confident with proper English, Listening Correctly and Provide Effective Feedback, Market yourself more Effectively, Transform you so that you can Shine and Introduce you to the World of Possibilities. 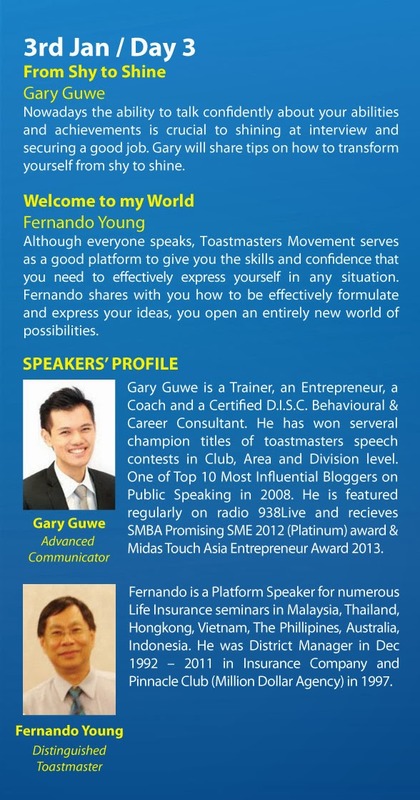 Time: 6:45 p.m. to 10 p.m.
Email: winson.limws@gmail.com to reserve a seat.